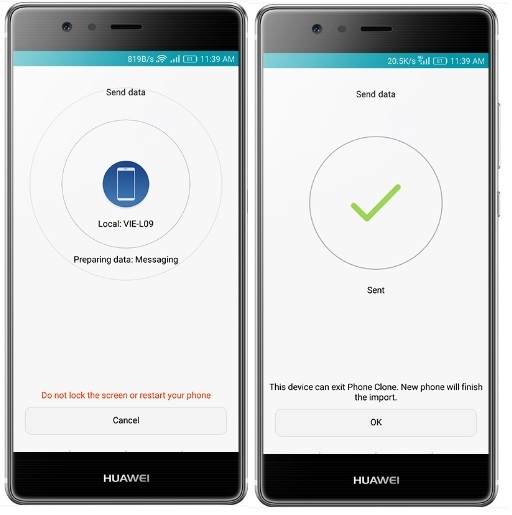 There are many methods for moving an old phone’s data to a new Huawei smartphones such as Huawei P8 Lite as laid out in Huawei P8 Lite is Black White and Gold Metallic Luxury. But most require you to back up and restore your phone, and that’s really annoying. If the backup isn’t usable, you have to start all over again from the beginning and you may even lose some of your personal information. In the following lines, we’ll get into the App itself and see how it works! First, you have to install the Phone Clone App on both the old Phone. 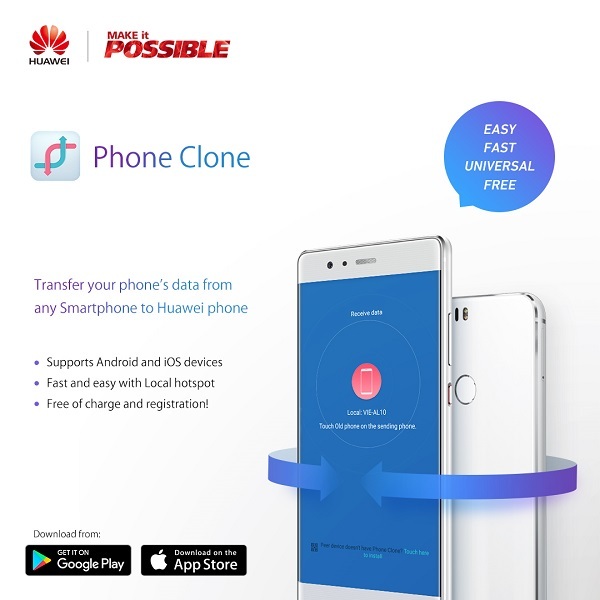 This can be it another Android phone or Apple iPhone you’re transferring your Contacts and other information from as well as your new Huawei smartphone. Install the Phone Clone App using the QR code. 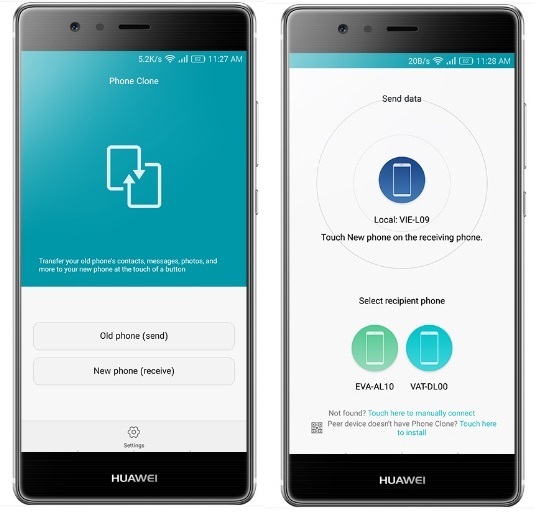 Once installed, follow the next set of instructions to connect the old phone and the new Huawei smartphone. 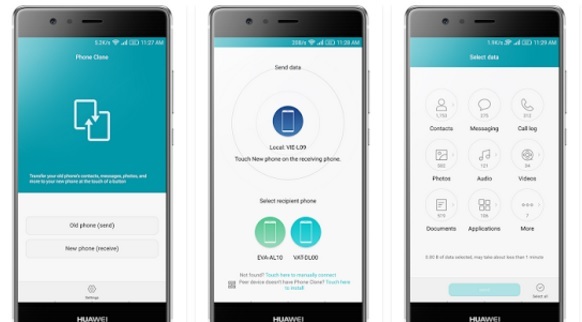 Select New Phone on the Phone Clone App on the Huawei smartphone that will receive data. The password for a newly created Wi-Fi network will be displayed. 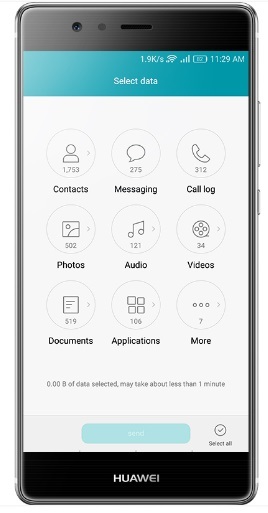 Select Old Phone on the Phone Clone App on the Apple iPhone or Android smartphone that will send data. Find the name of the Wi-Fi hotspot broadcast by the new phone. Touch the icon for the new phone and enter the Wi-Fi hotspot network password. Touch Connect to establish a connection through which the Phone Clone App can transfer data. Select the data types you want the Phone Clone App to transfer from the Apple iPhone or Android smartphone. Touch Send, and the new phone will receive the data. After the new phone processes the data, the transfer is complete. From iPhones you can move three (3) types of data. Good to note that if there is a significant amount of data on the phone, you may need to wait some time for the transfer to complete. Do not leave the Phone Clone screen. Want more tips on getting settled in to your new smartphone!? Then join their Huawei Jamaica Facebook Page check out the Huawei Experience Store as a smartphone awaits you to make loving Huawei Smartphones Possible.